6, Alhaji Amoo Street Off Ogudu Road Ojota. The newly transformed Hotel Rialto is located in the Centre of Ojota, which is a busy metropolitan area of Lagos State. It is situated at 6, Alhaji Amoo Street, Off Ogudu Road, Ojota, Lagos, Nigeria. It boasts 22 luxurious rooms designed with rich decorations for maximum relaxation and comfort. 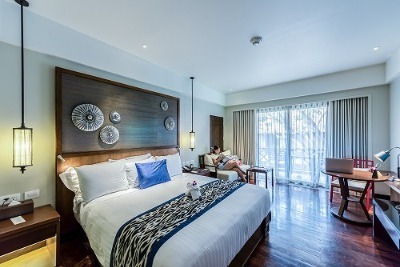 These rooms are categorised into Executive Single, Executive Single Plus, Deluxe Ordinary, Deluxe Classic, Deluxe Extra Classic, Luxury and Royal Classic. Each room is equipped with key card access system, air-conditioning units, cable enabled flat screen TV and an en-suite bathroom fitted with a Jacuzzi and toiletries. Free Wi-Fi access is available and a variety of meals and drinks can be ordered from the on-site restaurant and bar. An adequate parking space is available on-site and the security network is tight with CCTV cameras and security personnel guarding the premises. Laundry/dry cleaning, POS and taxi pickup services are offered by the hotel on request. Q: Does Hotel Rialto offer free Wi-Fi? A: Hotel Rialto offers free Wi-Fi to all checked-in guests. Q: Does Hotel Rialto have a swimming pool? Q: Does Hotel Rialto offer complimentary breakfast? Q: Is there a fitness centre/gym at Hotel Rialto? what type of equipment are available? Q: Does Hotel Rialto have a restaurant? A: A restaurant is available at Hotel Rialto. Hotel Rialto is a budget hotel in Ojota, Lagos. Have nice pictures of Hotel Rialto?